Thank you for visiting the Elite Party Bus website! We've been called the number one party bus service company in the Terre Haute area, and for good reason. Our customers are always so pleased with our buses and our one of a kind service. If you're having an exciting event that requires phenomenal transportation, give us a call. We understand that when customers seek out a party bus they desire a certain level of service. 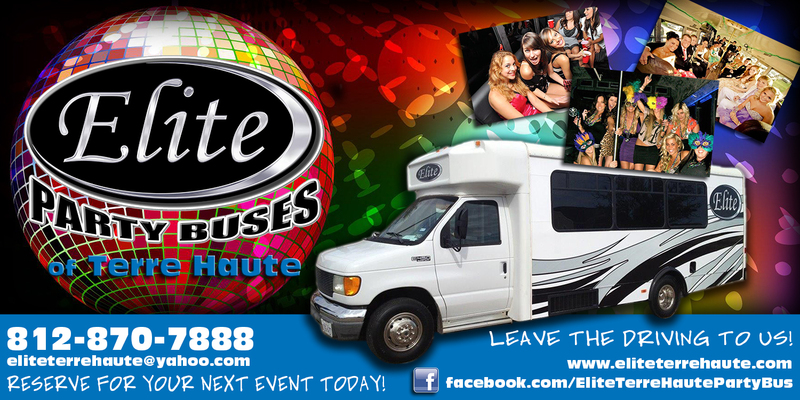 Elite Party Buses Of Terre Haute strives to meet high standards of professionalism. Our buses can be used for weddings, proms, bachelor and bachelorette parties, corporate events, concerts, bar hopping, homecoming events, and much more! Have another idea? We strive to make what you’ve imagined become a memorable event. Should you have any questions it's easy to get in touch with us via phone or email.